As consumers of health services, we rely on medical professionals to help us protect our own health and the health of others. The vast majority of medical professionals are dedicated to providing the best care possible. Sadly, however, there are some people who abuse the public’s trust, often risking the health and welfare of others for personal gain. Today’s post will focus on pharmacies and pharmacy fraud, a category that includes pill restocking schemes. These schemes may include Medicare fraud, Medicaid fraud, and/or fraud on private insurance providers. People who become aware of such schemes, including patients, pharmacy employees, and other medical professionals, can help fight back. As a pharmacy fraud law firm, we work with concerned citizens to stop these crimes and protect the health of innocent Americans. Last week, according to WZZM13, a federal judge handed down an order for restitution in a case that has already let to more than a dozen arrests. 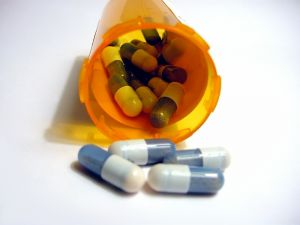 WZZM reports that, according to this ruling, the drug restocking scheme cost Medicare over $64 million and cost Medicaid $18.2 million with an additional $4.7 million lost by Blue Cross Blue Shield of Michigan. The ruling decrees that the CEO and six others must collectively pay $8.8 million, 10% of the total amount lost by public and private insurers due to the fraud. The nature of the alleged scheme is detailed in an August press release from the Department of Justice (“DOJ”) announcing the ten year prison sentence for the same CEO following a guilty plea to charges he committed health care fraud by billing for misbranded and adulterated drugs. Per the DOJ, the Michigan pharmacy returned medications to pharmacy stock in a manner that led to cross-contamination, inaccurate labeling, the placement of multiple dosages into single stock bottles, and the placement of the wrong medications into store vials. At least one executive used the inaccurate restocking process to remove controlled substances from the pharmacy and then sell the pills, including OxyContin and Vicodin, on the street. Pharmacy fraud is costly and dangerous. When pharmacy fraud involves Medicare, Medicaid, Tricare, or other government benefit programs, it may be a violation of the False Claims Act (“FCA”). The FCA allows private citizens to act as watchdogs and whistleblowers, filing claims on the government’s behalf against perpetrators to bring an end to fraud and force the scammers to return money to the government. Where the whistleblower’s suit leads to a recovery of funds via settlement or verdict, the whistleblower is entitled to a share of the recovery as a reward for their efforts. The amount of the reward can be from 15% to 30%, depending in part on whether the government eventually intervenes in the case or whether the citizen and the whistleblower’s attorney lead the case throughout. If you have witnessed or suspect pharmaceutical fraud, please contact our pharmaceutical fraud lawyer to learn how he can help you be part of the fight against health care fraud. Call (800) 427-7020 or submit the electronic contact form on this page.